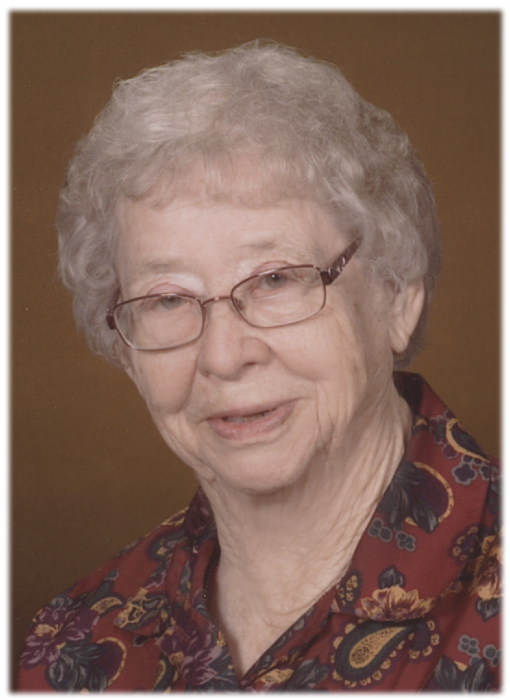 Rose H. Stoermann, age 97 of St. Rosa, passed away peacefully, surrounded by her family on Monday, March 25, 2019 at the CentraCare Health Nursing Home in Melrose, Minnesota. A Mass of Christian Burial will be held at 11 a.m. Friday, March 29 at St. Rose of Lima Catholic Church in St. Rosa with Rev. Derek Wiechmann officiating. Interment will be in the parish cemetery. Visitation will be held from 4 to 8 p.m. Thursday at the Patton-Schad Funeral Home in Melrose and from 10 to 11 a.m. Friday at the church. Parish prayers will be held at 5 p.m. followed by a rosary by the Christian Mothers and St. Loretta's Mission Group at 6:30 p.m. Thursday evening at the funeral home. Rose Hilda Austing was born December 6, 1921 in Millwood Township, Stearns County, Minnesota to Melchior and Mary (Bergmann) Austing. On April 11, 1944 she was united in marriage to Bernard Stoermann at St. Rose of Lima Catholic Church in St. Rosa. The couple farmed near St. Rosa for 34 years until retiring in 1978. Rose lived in the St. Rosa area until moving into PineVilla Nursing Home in 2015. She was a member of St. Rose of Lima Catholic Church in St. Rosa, Christian Mothers, St. Loretta’s Mission Group, and the St. Rosa Senior Citizens. Rose enjoyed quilting, puzzles, puzzle books, playing BINGO and cards, and going to the casino. Survivors include her children, Joan (Allen) Dobmeier of St. Rosa, Bernice (Herman) Ebnet of Holdingford, Raymond (Rose Ann) Stoermann of St. Rosa, Diane (Jerry) Middendorf of Sauk Centre, Ellie (David) Boecker of St. Rosa, Roger (Sue) Stoermann of Melrose, and Marvin Stoermann of Avon; daughter-in-law, Shirley Stoermann of Melrose; 22 grandchildren, 42 great-grandchildren, and nine great-great-grandchildren; and brother-in-law, Melvin Eickhoff. Rose was preceded in death by her husband, Bernard Stoermann on March 27, 1995; parents; son, LeRoy Stoermann on April 21, 1986; Marvin’s significant other, Donita Martin on July 26, 2014; and brothers and sisters, Lawrence Austing, Ben Austing, Elmer Austing, Lorraine Frericks, and Norma Eickhoff. Serving as casket bearers will be Adam Ebnet, Jason Stoermann, Scott Stoermann, Ricky Stoermann, Bob Stoermann, Aaron Middendorf, and Eric Middendorf. Cross bearer will be Mary Klassen and scripture bearer will be Joyce Tiemann. Honorary bearers will be the Christian Mothers.